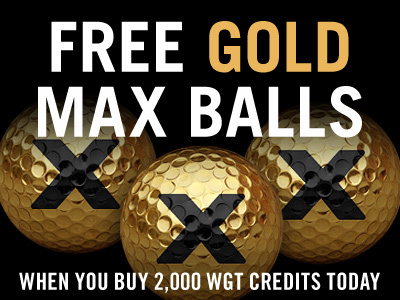 Get 3 free Gold MAX virtual golf balls now – a WGT favorite! These special edition golf balls are back, free when you buy 2,000 or more WGT Credits now through noon (PDT) on Sat 5/28. These are some of the most popular balls on WGT, in a new gold color with matching gold vapor trail to help you trace your shots through the air. Plus, the slower meter helps you "ding" more shots and lower your scores. * Special one-time offer for players that buy 2,000 or more WGT Credits 5/26/16-5/28/16 (12:00 PM PDT), get 3 free MAX Slow Meter Gold Vapor virtual golf balls (Hack+ or Pro+) on a single purchase. Note, these limited-edition virtual golf balls are not available to buy in the WGT Pro Shop so this is your only chance to grab some! 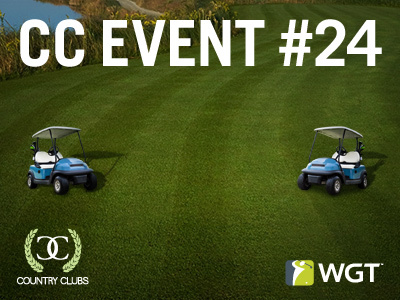 Round up your club and compete in CC Event #24 going on NOW through 5/22. Save yourself from walking the course in this event, we're giving away these golf cart tees and flags to help you get through CC Event #24! Along with these new tees and flags, compete against other clubs for leaderboard status and more in-game rewards. Kick the week off with some of our most popular virtual golf balls free, today and tomorrow. 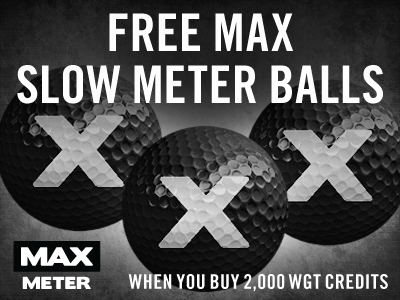 Get 3 free MAX Slow Meter virtual golf balls when you buy 2,000 or more WGT Credits, giving you more overall distance and a slower WGT swing meter, making all your clubs easier to hit. Use your new credits to upgrade your virtual equipment and compete in paid games for prizes. Note, the free MAX virtual golf balls will automatically be added to your inventory but not automatically equipped. To play with the new golf balls, just open your Equipment and equip the new MAX balls from your inventory. *Special offer for players who buy 2,000 or more WGT Credits today through tomorrow (5/16/16-5/17/16), receive 3 free MAX Slow Meter virtual golf balls (Hack+) or 3 MAX Slow Meter Gold Vapor Balls (Amateur+). The 2016 WGT Virtual Tour continues in May with the Valhalla Classic.. Compete on Valhalla in the second tournament of the Apr-Jun Quarterly Season, including an unlimited play first round (5/1-5/26) and a single-play second round (5/27-5/31). 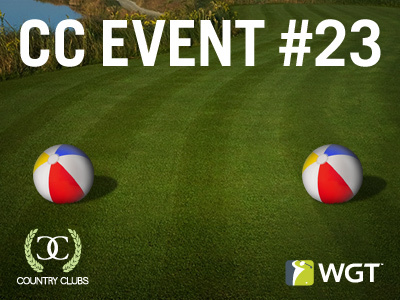 Grab your club members and compete in CC Event #23 going on NOW through 5/5. We're bringing the beach to the course with these virtual beach ball tees and flags, just in time for the summer! Compete against other clubs this week for club status and in-game rewards, including these new tees and flags. 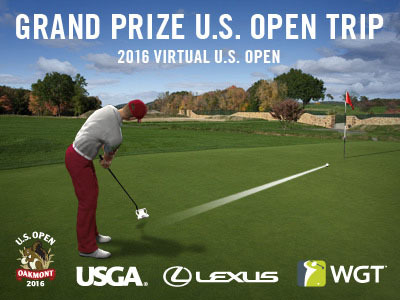 The 2016 Virtual U.S. Open is here! The main event of the 2016 Virtual U.S. Open kicks off this month with the full 18-hole Qualifier tournament. Play all 18 holes of full stroke play golf at Oakmont, to compete for a Grand Prize trip to next year's U.S. Open at Erin Hills. Experience every tee shot, challenging bunker and rolling green of the upcoming U.S. Open Championship, free on WGT. Chance to win a Grand Prize trip to the 2017 U.S. Open!